This letter was written by a soldier who signed the letter and referred to himself simply as “Cole.” We know from the letter that he was a member of Company E, 151st Pennsylvania Infantry which was recruited from Berks County, Pennsylvania. He also tells us that he was a friend and cousin of Lt. Jacob Parvin who was mortally wounded at the Battle of Fredericksburg. The letter is datelined 1862 but this is clearly an error; it should be 1863. The 151st Pennsylvania Infantry was a 9 months term organization and wasn’t mustered into service until late November 1862. Unfortunately there wasn’t any member of Company E that went official by the name of Cole so it must have been a middle name or nickname. Only one member of Company E is shown being discharged on the basis of a Surgeon’s Certificate. This was Private Moritz Hoops, discharged on 16 March 1863. 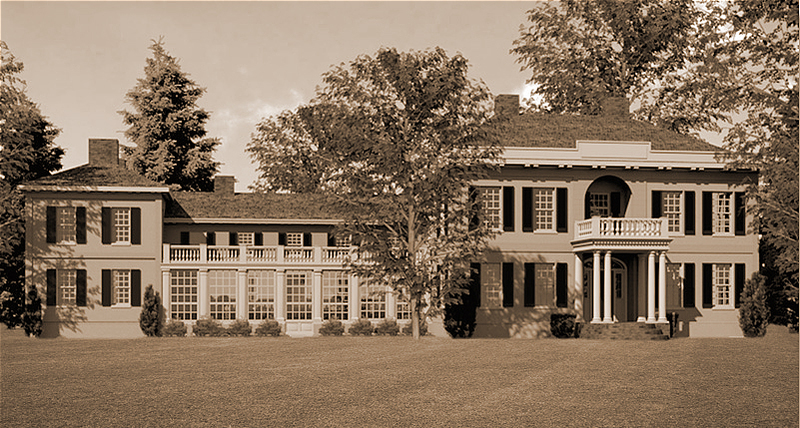 Cole tells his cousin that he suffered a bout of smallpox and was housed in the Kalorama Hospital in the suburbs of Northwest Washington D. C. This hospital was situated in the mansion house of Joel Barlow and his wife, Ruth Baldwin, who bought the 30 acre estate in 1807 for $14,000. Barlow gave the mansion a Greek name, “Kalorama,” which some say translates to “beautiful view,” others to “spendid vision” or “fine view.” It was written that only the White House exceeded the Kalorama mansion in size and elegance. The estate was taken during the civil war and used as a smallpox hospital, and at the close of the war was burned, and now all that remains of the once famous country seat are the stately trees that formerly shaded the historic mansion. Cole’s occasional use of “thee” tells us he was most likely from from a Quaker family. Thee has undoubtedly heard ‘ere this that I was so unfortunate as not to be able to remain with my regiment but a very short time after leaving Harrisburg. We had a pleasant trip from Harrisburg to Washington. A good dinner was prepared for us at Baltimore of which we partook freely as many of us had no breakfast. At Washington too (where we arrived about an hour after dark), supper was furnished us as well as breakfast the next morning. We had comfortable quarters in which to sleep. About noon on the 28th November, we took up our line of march, passed through the City [of Washington] to the long bridge where we crossed the Potomac and formed ourselves on the “sacred soil of Virginia.” We passed about two miles into this contested country when we were ordered to halt, pitch our tents, and make ourselves as comfortable as possible. We soon found out that we were in Camp Seward, located on Arlington Heights. This property belonged to the rebel General [Robert E.] Lee, until confiscated by our government. It is nothing but a barren waste. I do not believe I would take a hundred acres as a gift. Yes, if the donor would also deliver ten thousand bushels of lime on the place. I did not have much time, however, to look around as I was taken sick the next day with a severe pain in my head and back. This lasted for about four days (small pox always begins in this way). Then the marks began to make their appearance. On the 3rd December, I was sent to the Union Hotel Hospital in Georgetown but made a stay of but one day when they sent me to the regular Small Pox Hospital where I have been ever since, but do not imagine that I have had that disease all this time as I would not be writing to thee if this were the case. I was in bed (after arriving here) but eight days, then for twelve more I was so weak as to be unable to get down stairs. And now for three weeks I have been entirely clear of the disease and there are no marks on me to show that I ever had it. The same day on which I left Camp Seward (December 3rd), the 151st Pennsylvania Volunteers took their tents down and marched for Union Mills — about two and a half miles this side of the old Bull Run battle ground where they have been on picket and guard duty ever since. The 128th [Pennsylvania] Regiment to which John Parvin belongs is on the same duty at Fairfax Court House about eight miles this side of Bull Run. 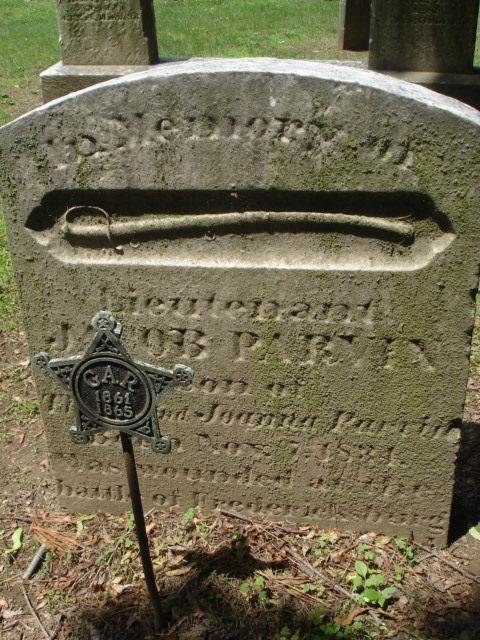 Samuel Parvin (John’s brother) is in a hospital in Philadelphia and Jacob [Parvin] ¹ was one of those numbered among the dead at the Battle of Fredericksburg. Alas, I find we feel the effects of this war more when it comes as near home as this. Jacob was the first cousin or friend I lost in this war and this way imagine that I feel it, surrounded as I am by strangers and where I see persons dying every day. But thee may wonder why does Cole remain in the hospital if he is over the Small Pox? I answer because the doctor will not allow me to leave. He says I ought to resign as I will not be fit for a long time to enter the field again. I have a very bad cough and am still so weak that I could not walk more than a mile at a time. The surgeons in charge gave me a certificate (yesterday) on which to ground an application for a furlough to go home for thirty days. I sent it in today and expect to hear in a few days whether I will get hime or not. I received a letter from Lizzie today. Beckie Starr has been making quite a visit at Millville. Frank Masters took her home the day Lizzie wrote. Thy sister Debbie and Levi too had paid her a visit. John P. Eves, ² a son of Mary R. Eves of East Millville, was killed in battle. As it’s nearing our hour for retiring, I will say Good Night. Address, Kalorama Hospital, Washington D. C.
Address while in regiment: Company E, 151st Regiment P. V., Washington D. C.
¹ Jacob Parvin (1834-1862) was commissioned as a 2nd Lieutenant in Company B, 129th Pennsylvania Volunteer Infantry on August 11, 1862. He died on December 14, 1862 of wounds received in the December 13, Battle of Fredericksburg, Virginia. ² John P. Eves was a member of Company I, 136th Pennsylvania Infantry. He died on 18 December 1862 of wounds received at the Battle of Fredericksburg on 18 December, 1862. This entry was posted on Tuesday, July 8th, 2014 at 9:27 pm	and posted in Uncategorized. You can follow any responses to this entry through the RSS 2.0 feed.